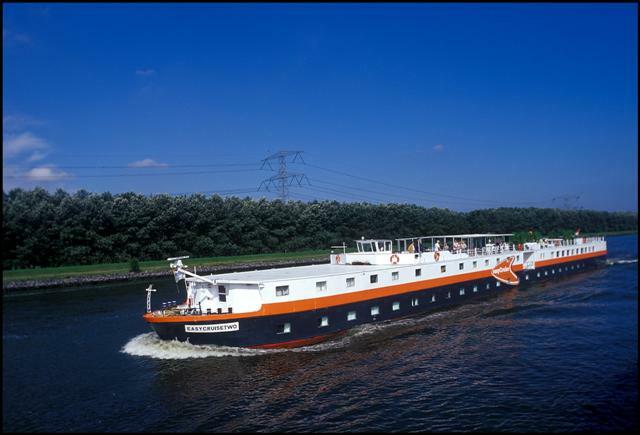 On August 17, easyCruiseTwo will turn off its engines due to the financial situation of its owner, Boonstra Riverline. The ship had been run on a franchise basis for [% 2346822 | | easyCruise %], the no-frills cruise line. The easyCruiseTwo had been sailing river cruises between Amsterdam and Brussels, and was scheduled to cruise through September 28. Guests booked on canceled voyages will receive a full refund for their cruise fare and travel arrangements, as well as a free cruise on easyCruiseOne. If you’re a fan of easyCruise, never fear. The cruise line itself is not in trouble, and the easyCruiseOne will continue to sail the Greek Islands as planned. The future of the easyCruiseTwo ship is unknown, and easyCruise has not indicated an intention to add the ship to its own fleet. However, this setback does not seem to affect easyCruise’s desire for franchises, and the cruise line continues to seek out new partnership opportunities. After much experimentation with destinations, the easyCruiseOne will sail various itineraries to Greece and the Greek Islands through September 2008. The cruise line is dedicated to offering an affordable way to cruise for nontraditional cruisers.